After you have selected the items you wish to purchase, to pay using PayPal or a credit card, use the “Checkout” link under the Shopping Cart or click here. Many people have left the Church of Jesus Christ of Latter-day Saints to pursue historic, Biblical Christianity. Yet the distinctive aspects of Mormon culture and church life make it very challenging for former Latter-day Saints to become fully integrated into a traditional Christian church. Like immigrants leaving their homeland, they must negotiate a confusing journey into a new cultural setting. This study guide is designed for individual or group use, to help former Mormons navigate through the challenging emotional and cultural issues related to leaving familiar territory behind to find a new spiritual homeland. For Kindle or Paperback formats go to Amazon.com. Also available here as an unbound PDF download. What is the book of Mormon and what does it teach? How did the Book of Mormon come to be written? How do Mormons use the Book of Mormon? Are there problems with the Book of Mormon? These and other questions are the focus of this fair and indispensable guide for anyone wishing to understand and engage with Mormons on issues of faith. 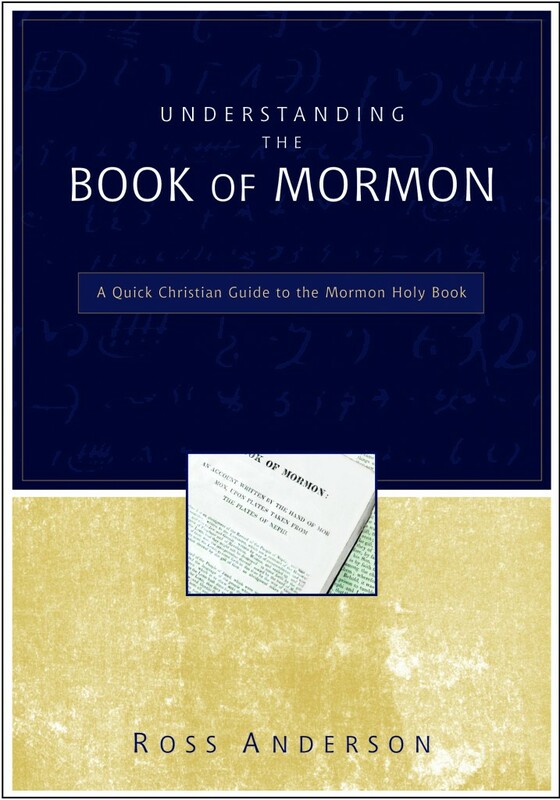 Understanding the Book of Mormon is also available as an e-book on Kindle and Nook. You can find the audio version of the book at Audible here. Chapters Include: 1. The Gold Bible: What Is the Book of Mormon? 2. A Tale of Two Civilizations: What Is the Book of Mormon About? 3. The Mysterious Origin of the Book of Mormon: Where Did the Book of Mormon Come From? 4. The Fullness of the Everlasting Gospel? What Does the Book of Mormon Teach? 5. New Scriptures for the Last Days: How Does the Book of Mormon Relate to Other LDS Scriptures? 6. Another Testament of Jesus Christ: How Does the Book of Mormon Relate to the Bible? 7. Search for a Missing Civilization: Is the Book of Mormon Really an Ancient Book? 8. The Keystone of the Mormon Faith: How Do Latter-day Saints Use the Book of Mormon? 9. With Gentleness and Respect: How Do We Talk to Latter-day Saints about the Book of Mormon? This book will help traditional Christians understand and relate to friends and acquaintances involved in the Church of Jesus Christ of Latter-day Saints by giving insights into Mormon life and culture. It highlights essential elements in the experience of life as a Mormon—stories, practices, teachings, community activities, and beliefs—to help Christians form faith-sharing relationships with Mormons. The book is supported both by the author’s experiences growing up Mormon and by current research that utilizes many Latter-day Saints’ own sources. It explains the core stories that form the Mormon worldview, shares the experiences that shape the community identity of Mormonism, and shows how Mormons understand truth. The author shares how most Mormons see themselves and others around them, illuminating why people join the LDS Church and why many eventually leave. Understanding Your Mormon Neighbor suggests how Christians can befriend Latter-day Saints with confidence and sensitivity and share the grace of God wisely within their relationships. 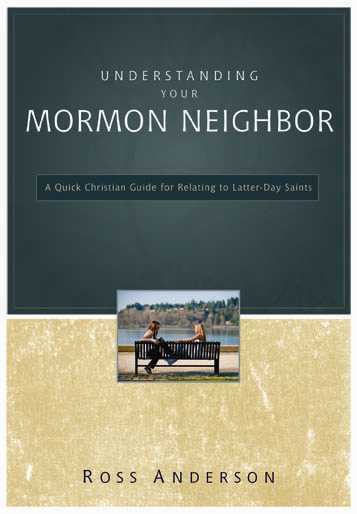 Understanding Your Mormon Neighbor is also available as an e-book for Kindle and Nook. Chapters Include: 1. Mormonism: Cult or Culture? 2. The Mormon World View. 3. The One True Church. 4. Life in the Local Congregation. 5. Families Are Forever. 6. Sacred Space. 7. Latter-day Saint Piety. 8. Us and Them. 9. Joining and Leaving. 10. Won’t You Be My Neighbor? Appendices: 1. Can I Vote for a Mormon? 2. Are Mormons Christians? 3. Resources for Further Study.